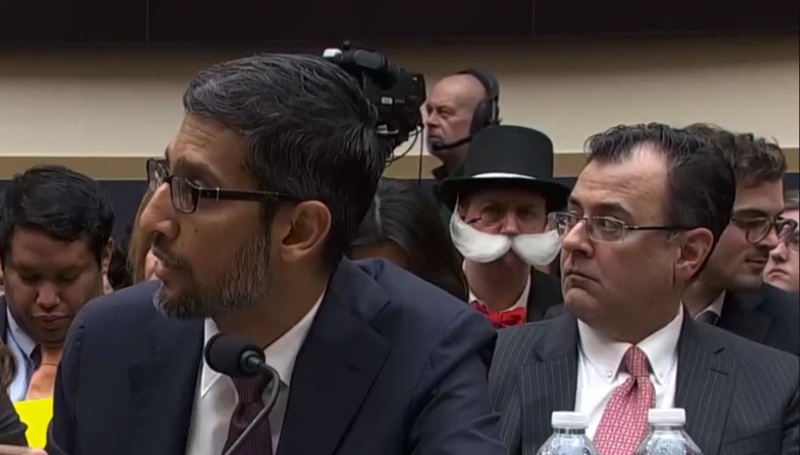 The Monopoly Man was at the CEO of Google's testimony. Sundar Pichai answered questions about data privacy at the congressional hearing. Google CEO Sundar Pichai was summoned to speak in from of the United States Congress today in Washington D.C. Many of the questions revolved around the topic of data privacy, and how Google treats their users' data. One interesting development at the hearing was the presence of a young person dressed as the Monopoly Man. The Monopoly Man apparently was peacefully protesting Google while making a pretty funny statement about the search engine giant's stranglehold on its market. Google has been in the news for a lot of wrong reasons lately, with employees protesting the Project Dragonfly Chinese search engine. While Pichai did acknowledge Project Dragonfly's existence, he went on to say that Google is not currently developing a Chinese search engine. Last month, Google employees walked out in response to the company's handling of sexual misconduct. Today's hearing in Washington D.C. is just another moment where Google is taking a PR hit as many congressmen hit Pichai with questions ranging from the suppression of conservative speech to the need for regulation of social media companies. Monopoly Man provided some much-needed comedy relief to what was a pretty serious back and forth. Monopoly Man even brandished a wad of cash at the hearing. Some Shackers have been wondering which Shacker had the guts to dress up as the Monopoly Man, but after thorough research we have been unable to confirm or deny this person's identity. His presence at the congressional hearing was definitely funny, and it was great to see his shenanigans go largely tolerated and unnoticed by the members of Congress. 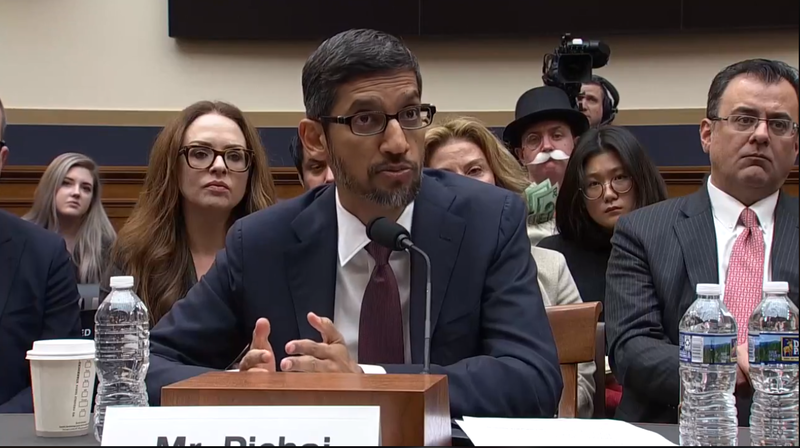 It was especially funny when Monopoly Man pulled out his fat stack of cash as questions about Google's profit motives intensified. We salute Monopoly Man. While we may never know his true identity, such absurd behavior is another fine case of how to do it for Shacknews.